Sony Xperia Z5 Premium is quite special because of its 4K display, but most of the time it runs an upscaled 1080p interface. We know Sony for its optimizations and we’ve seen Xperia phones does impressively in our battery life test. Yet the hot Snapdragon 810 isn’t lightweight on the battery at all. So what’s going to be for the Z5 Premium then? 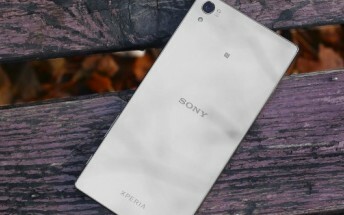 The Sony Xperia Z5 Premium is powered by a beefy 3,430 mAh battery, sealed-in, as usual for the company. It’s 500 mAh more than the battery unit in the Z5, which scored 73 hours, so we are hopeful. The first test is about 3G talk time endurance and the Z5 Premium lasted north of the 20 hours mark. The web browsing turned out quite well at 9 and a half hours, but that’s 5 hours less than the Xperia Z5. The looped video playback running our 480p movie lasted 7 hours, before the battery was drained down to 10%. Sure it isn’t impressive, but the Z5 did about the same. The standby is where the Z5 Premium does worse than the Z5 at about 11 days. Note that the Xperia Z5 Premium does not drop a single percent in over 24 hours, but once the battery stats begin updating you’ll lose quite a bit in just minutes. An endurance rating of 66 hours is still above average and it means that the Z5 Premium should be more than happy to offer that many hours of our test pattern usage - one hour of browsing, video playback and calls a day respectively and the rest - standby. There is one more thing – the display bar at 50% lights up the screen with just 80 nits, which contributes to some higher scores. Still, given its decent sunlight legibility, we were OK looking at it in the day and until the display measurements came in, we never thought it would out such low brightness. If our standard usage pattern doesn't quite fit your bill, you can easily hop on to our battery life chart and adjust the pattern to your liking for an even more comprehensive comparison.